Baron Sigismund von Herberstein, one of the earliest and most important Western writers on the situation in Russia. He originated from the powerful Austrian Herberstein family, which owned a series of manors on the territory of what are now Slovenia and Austria (e.g. Herberstein Castle in Styria and the impressive Ptuj Castle). Baron Sigismund von Herberstein was born in the Slovenian town of Vipava, in the region of Carinthia. Even though he originated from a German aristocratic family, it appears he spoke Slovenian (he is called Žiga Herberstein in Slovenia). As the diplomatic representative of the Habsburg Monarchy, von Herberstein participated in a series of diplomatic missions into foreign countries. He visited Spain, Denmark, and even the Ottoman Empire. In 1517 he went to Russia, and was also present there at the time of the infamous Emperor Ivan the Terrible. During his journeys, Herberstein often took notes on local customs, which can be considered an early form of ethnographic research. He wrote a book on the situation in Russia in Latin, titled Rerum Moscoviticarum Commentarii (Notes on Muscovite Affairs). Herberstein’s notes were widely-read in Europe and represented one of the relatively rare sources on that important country. 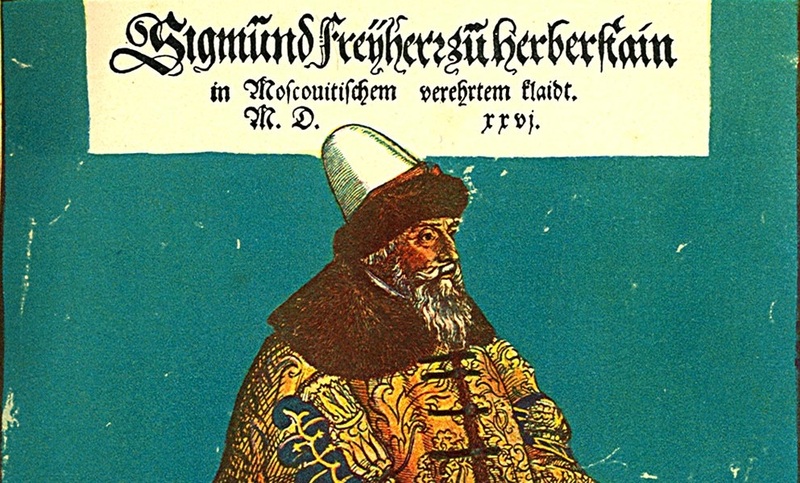 Baron Sigismund von Herberstein died in Vienna in 1566.